With the challenging environment in which a personal injury claim must be prosecuted, it is more important than ever for a personal injury claimant to understand how to help their attorney maximize the value of their claim. Immediately following a motor vehicle or other accident, you are likely to be contacted by a claims representative working for the insurance carrier of the other party (or possibly your own), and they will be seeking a recorded statement from you about how the accident happened. There is no law which requires you to cooperate and give a tape recorded statement. Generally speaking, it is wise for you to avoid doing this until you have been able to consult with an attorney. Although you may have a contractual obligation to cooperate with your insurance carrier, that does not mean you have to give them a recorded statement immediately upon their request. If you are hurt in the accident, you should seek diagnosis and treatment as soon as possible from a physician or in the emergency room, as appropriate. When being diagnosed and treated by a physician for injuries suffered in an accident, you should always relate that you were in an accident and describe the parts of your body which were injured or which are causing you discomfort. The more information your physician has, the better he or she can help you. Too, a majority of claims are evaluated by software and describing all of the parts of your body which have been injured will add value to your claim. Before you release your automobile to the other party’s insurance carrier in any property damage settlement, you should take as many pictures as you can of your damaged automobile. These pictures should be up close and at a distance and from various angles. It is also a good idea to capture photographs of bruises, cuts and other bodily injuries during the different phases of your recuperation. Later, these pictures can be helpful in many ways. Another helpful thing you can do is to keep a daily journal or diary to record your physical pain and discomfort, your mental/emotional problems, inability to sleep, limitations upon your motor activities, etc. As time progresses, these facts will become colder and harder to remember. Therefore, a journal or diary will be very helpful in describing to an insurance claims representative or members of a jury exactly how you felt, and the problems you experienced, at various times after the accident. Keep your appointments with your healthcare providers.Your ability to recuperate will be directly affected by following your doctor’s orders. 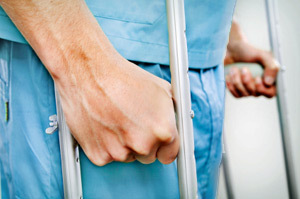 Claims representatives, defense counsel and jurors look at this in order to determine whether you were seriously injured and whether you made every effort to recuperate as quickly as possible. If you are unable to keep a doctor’s appointment, you should explain to the doctor’s staff the reason for your inability to make the appointment and immediately reschedule an alternative appointment. Gaps in on-going medical treatment should be avoided. These are a few common-sense actions you can take to enhance the value of your personal injury claim.